MARK KOSTABI RARE FABULOUS BEAUTIFUL SERIGRAPH. Signed and numbered limited edition serigraph. 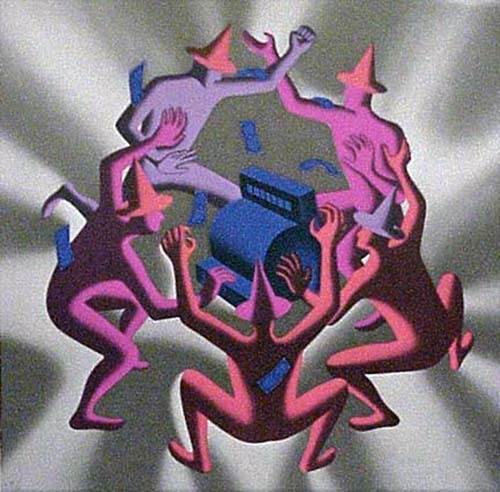 Edition: P.
Click the button below to add the Signed Cash Dance (Grey) By Mark Kostabi Retail $1.95K to your wish list.